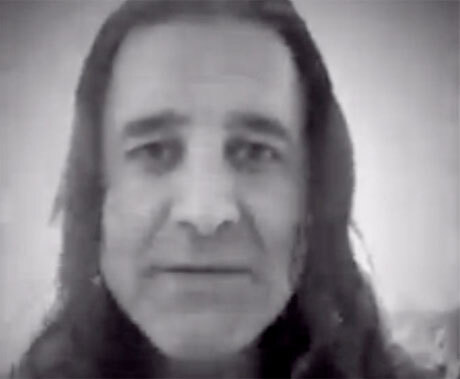 Creed frontman Scott Stapp has let out a cry for help via a bizarre new Facebook video. The singer posted the 15-minute clip on his personal Facebook page earlier today (November 25), offering up an update on his personal life — and it's not good news. Stapp uses his screen time to address rumours of his own death (which he confirms as false) and his relapse into alcoholism and drug abuse (also apparently false) before revealing that he has recently come "under some kind of pretty vicious attack." After beginning an audit eight weeks ago, the singer says that the IRS has frozen his bank accounts due to "an address mix-up," in addition to people taking advantage of him through unpaid royalties and stealing money. His response? "I don't understand how that's fair in America." Stapp says that his "civil rights have been violated," and he's asking for an honest lawyer to help him out. If you can make it to the 13-minute mark in the video, he brings up civil rights again — to compare the situation in Ferguson to his own battle with online slander and banking woes. The drama continues as he reveals that he's living out of a Holiday Inn after sleeping in his truck for two weeks and ending up in an emergency room after going without food for two days. He's not asking you to feel sorry for him, however, he's "just telling you the truth." Nevertheless, he remains firmly dedicated to Christ, which is helping him forgive these unknown attackers. You can watch Stapp reach out to his fans (presumably with arms wide open) by watching the video in its entirety below.